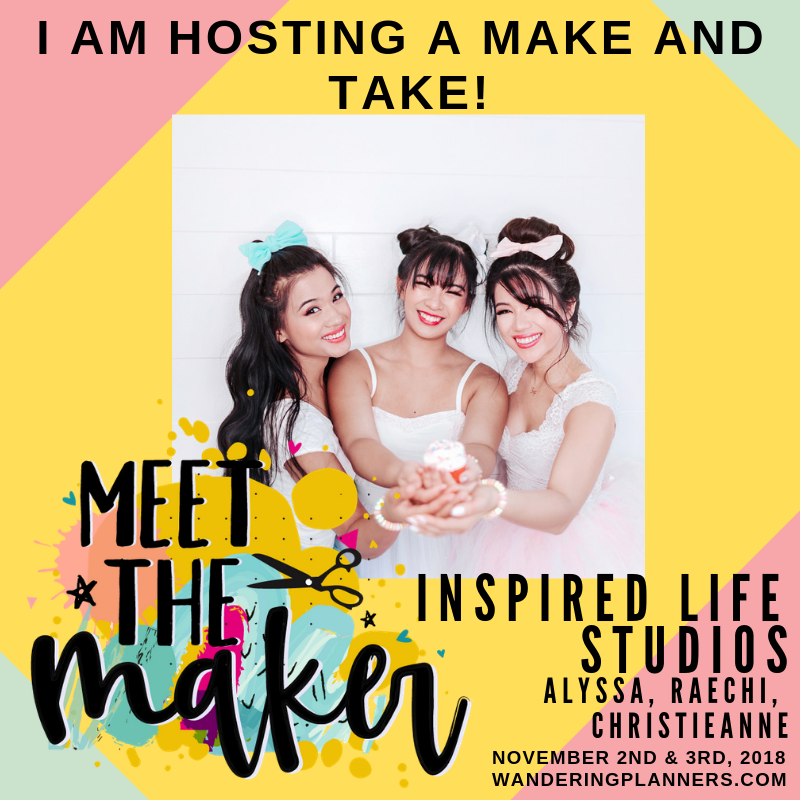 Were you one of the lucky ones that attended the Wandering Planners Meet the Makers event in Ontario, California? We had a great line up of “Makers” for our event. 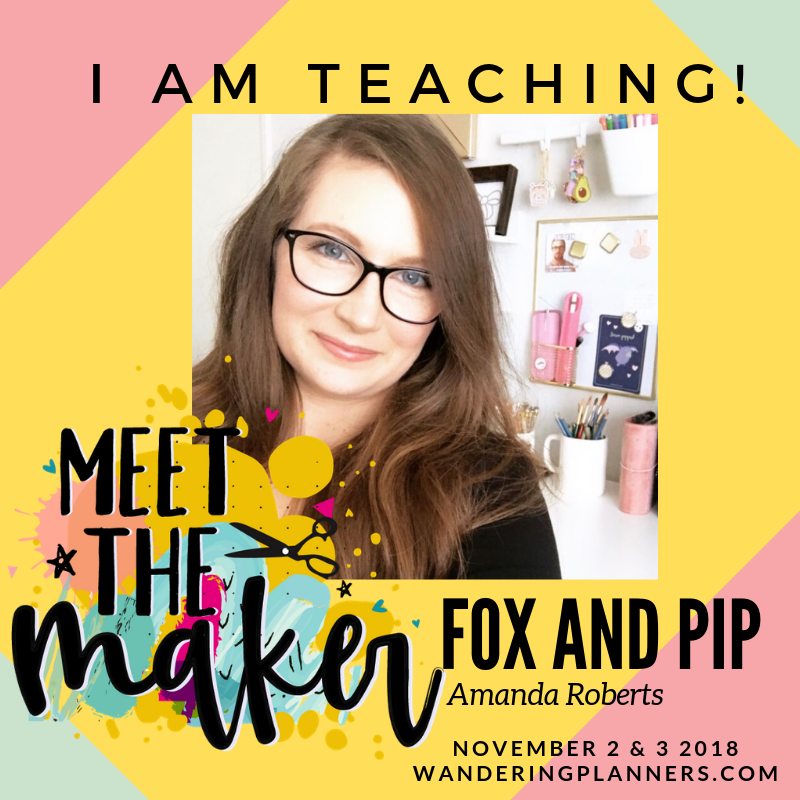 Amanda from Fox & Pip shared with us how to make a planner pocket. We cut out her designs, laminated them, and she showed us where to cut the slits for the pockets. I cannot wait to make a ton to put into my planner! They were so easy and cute to make. Eileen Hull is a legend when it comes to creating. 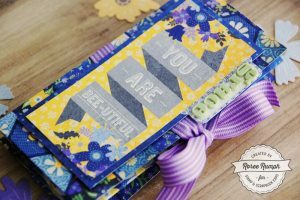 She designs dies for Sizzix and we absolutely love her dies! She taught us how to die cut a traveler’s notebook from one of her dies and create a watercolor cover on the front. We loved learning such valuable information on how to make our own books. We hope Eileen comes back to teach at each of our events! One can hope, right? We were blessed to have our very own Florence to teach our California Love traveler’s notebook class. What was the theme? All things California! She showed us how to layer ephemera, stamp in our TN’s, and use specialty paper to make a cute memory TN of California. Inspired Life Studios was the life of the party! They brought not only their dancing skills, but they showed us how to make washi tape dashboards! It was a great time had by all with dancing, music, and washi tape! 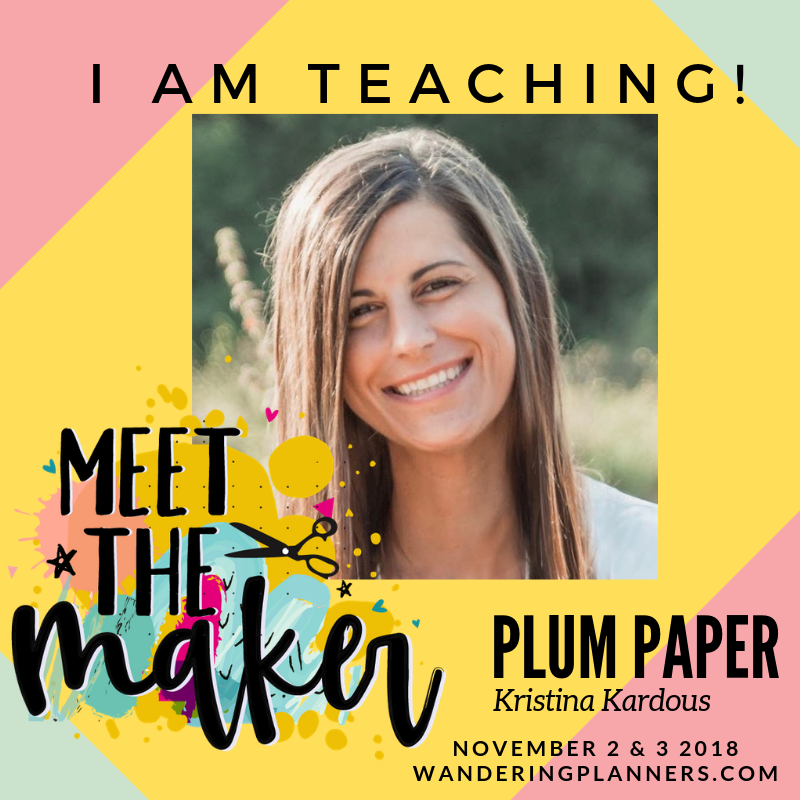 Kristina from Plum Paper was so generous! 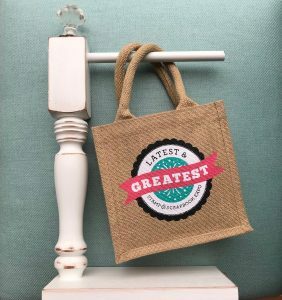 She outfitted us all with beautiful canvas bags filled with everything needed to keep organized through the holidays. 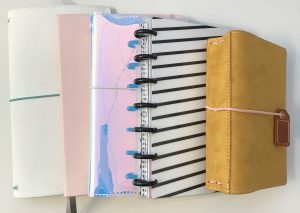 Her planners are the most customized planners on the market. You not only are able to customize your cover but also the inside of your pages. It is hands down the best tool to help keep you organized! Not to mention they are some of the most eye-catching designs on the market. 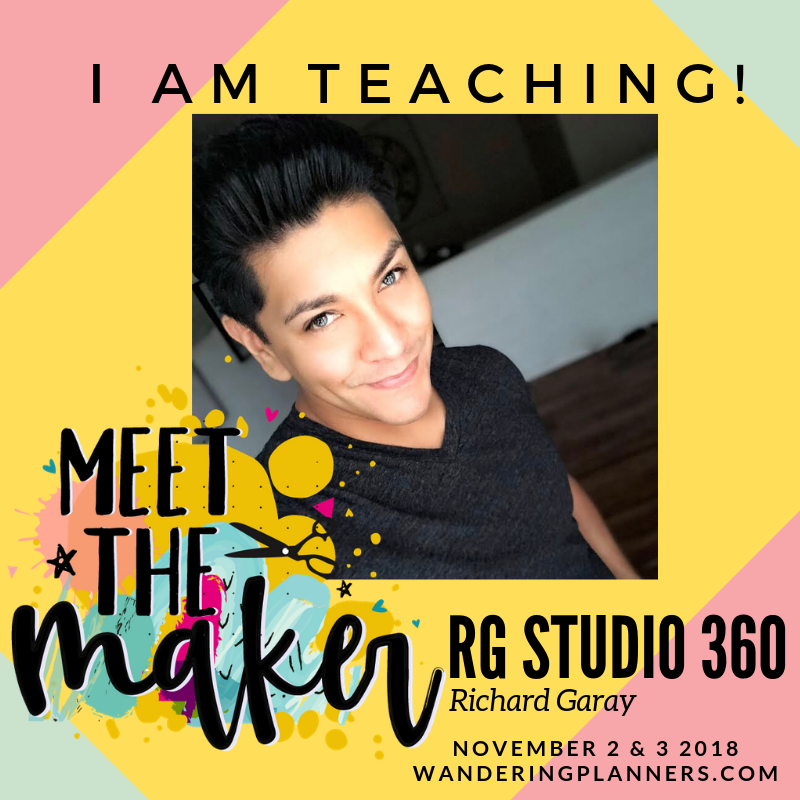 Richard Garay was one of our first presenters of the day and was one of the most entertaining! He helped us get a jump start on our holiday memory keeping. He walked us through a full holiday memory keeping traveler’s notebook. He used some of his unique designs from his company RG Studio 360 along with Simple Stories. It will be a perfect place to keep all of my holiday traditions this year. 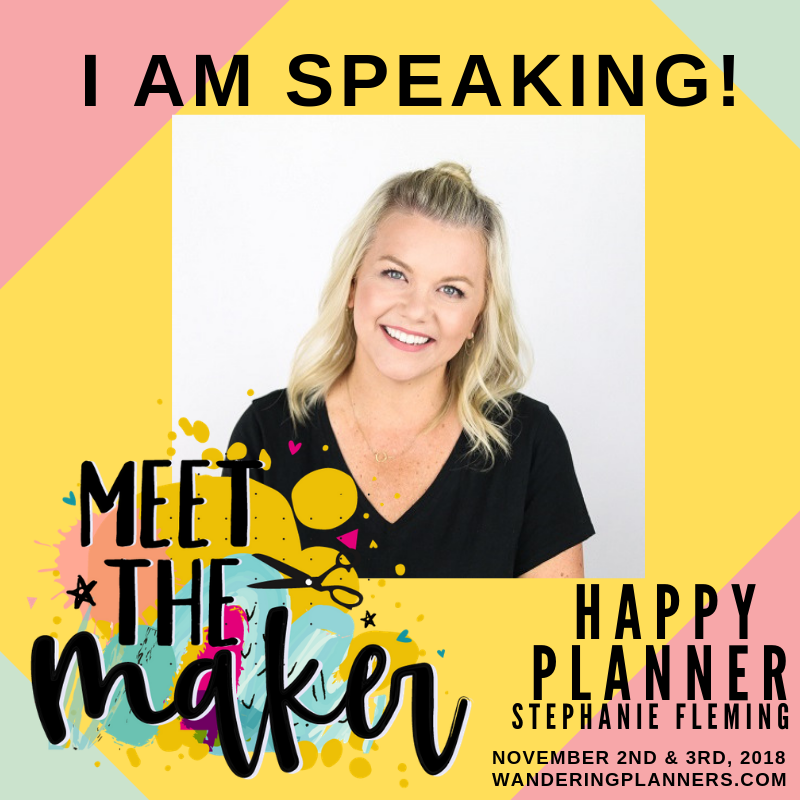 Last but most definitely not least was THE Ms. Stephanie Fleming from The Happy Planner! She was so gracious to stop by and give us a very inspiring talk about how and why she plans. She broke down for us the different ways to plan, why she plans, what works for her, and gave out planners! We had a very filled two days full of speakers, projects, swaps, friends, swag, and more! Do you want to see a more of this amazing event? Check back on our blog for an in depth article coming up. For now search the hashtag #wanderingplanners on Instagram to see everyone’s pictures from the event. 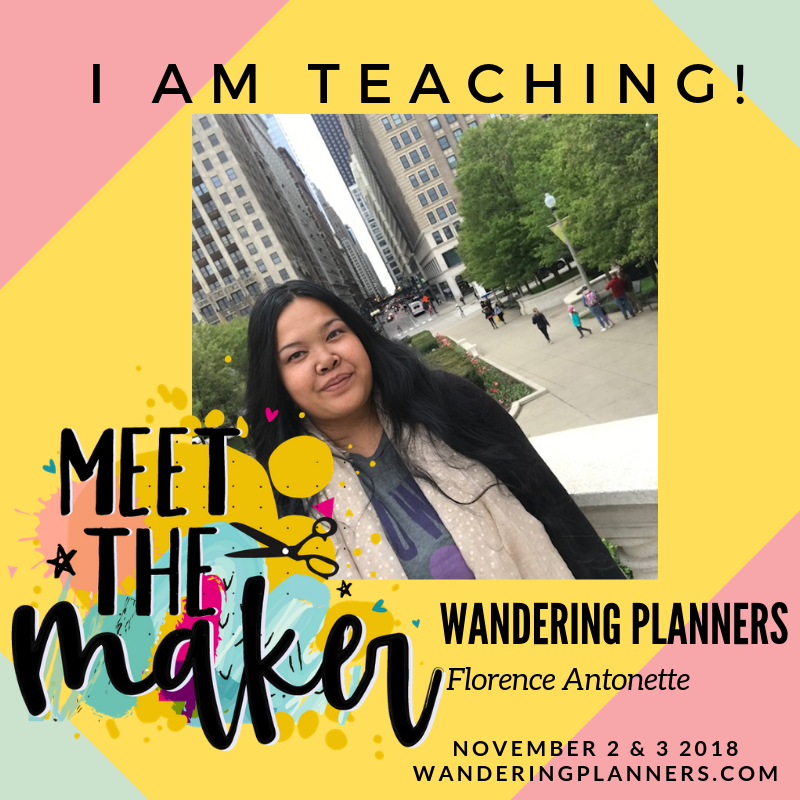 Want some more information on other Wandering Planners events? Check us out www.wanderingplanners.com. 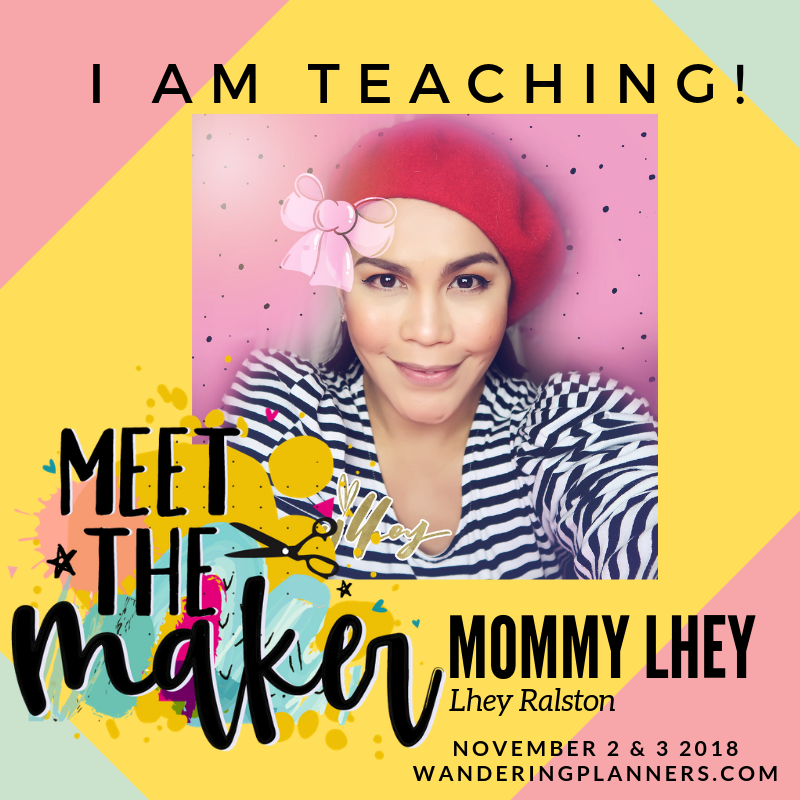 This entry was posted in Blog, Traveler's Notebook, Wandering Planners and tagged Eileen Hull, Florence Antonette, Fox and Pip, Inspired Life Studios, Mommy Lhey, Plum Paper, Richard Garay, Stephanie Fleming, Traveler's Notebook, Wandering Planners.